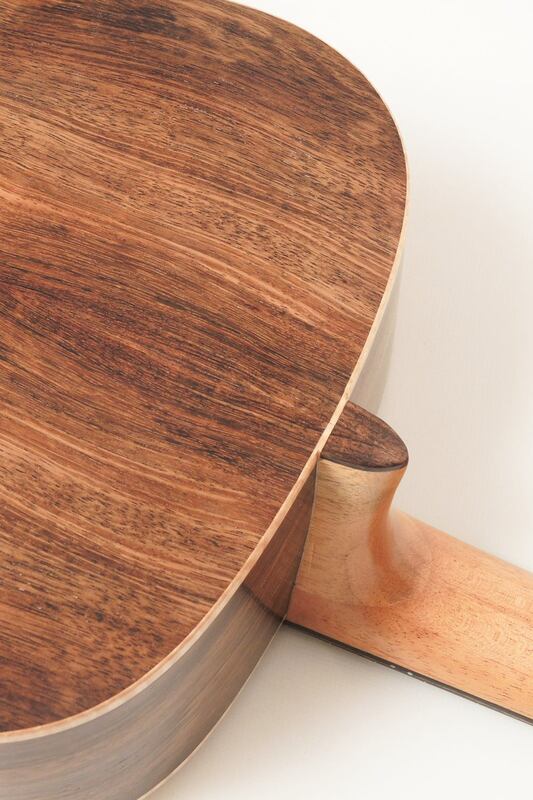 Constantly looking for replacements of Rosewood, we like to present Indian Laurel as a promising alternative. 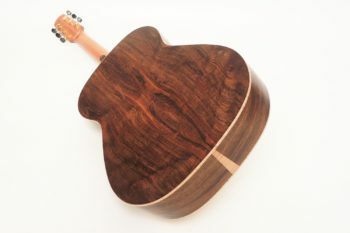 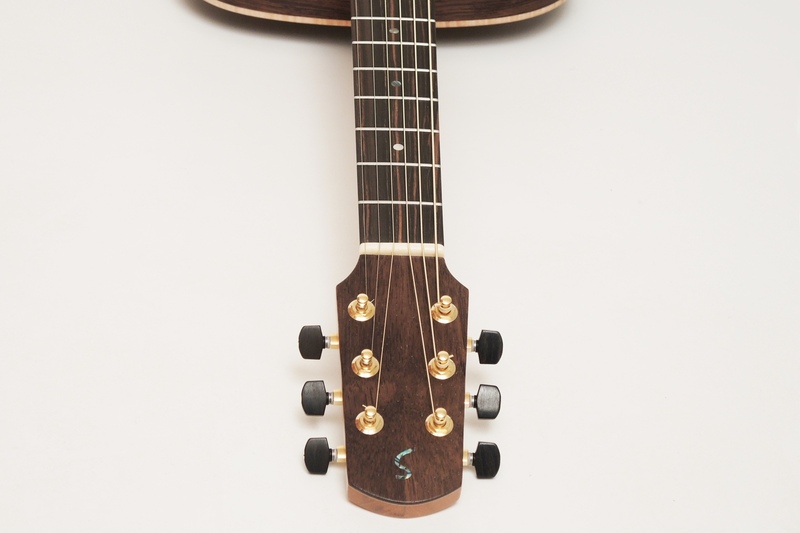 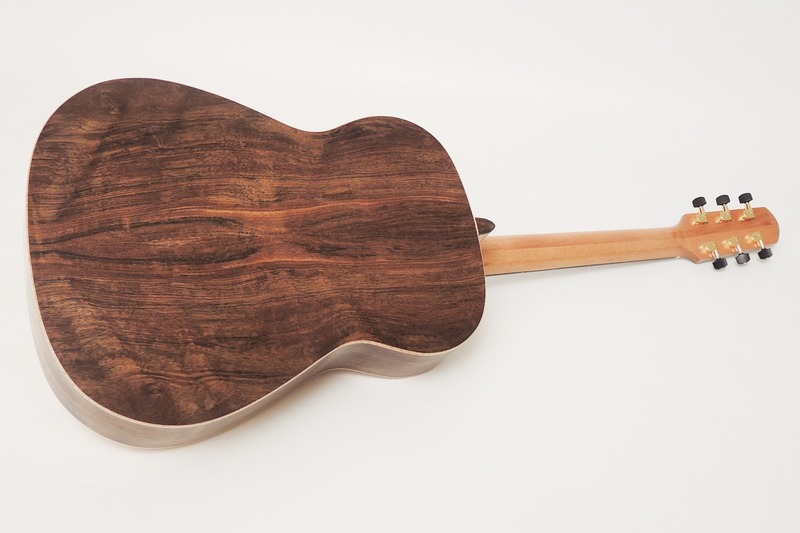 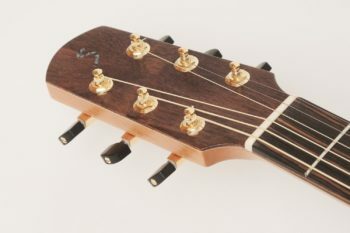 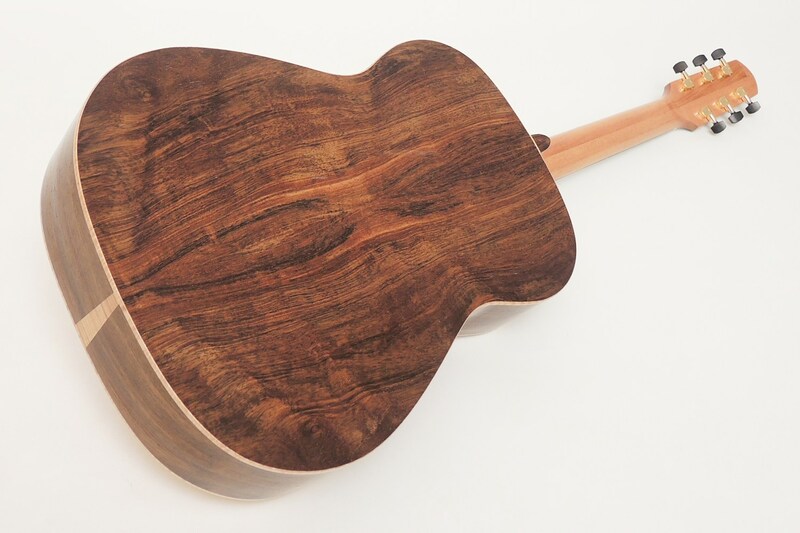 As a substitute for Rosewood which is often used for fretboard and bridge we chose Ebony. 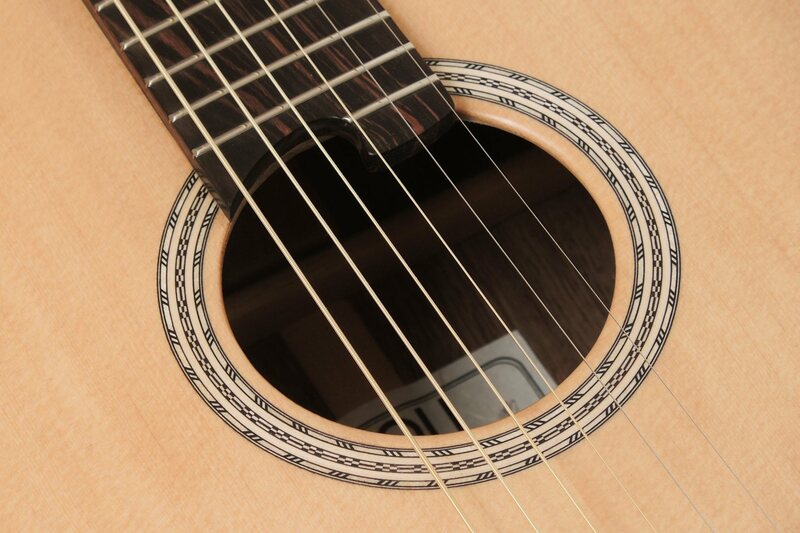 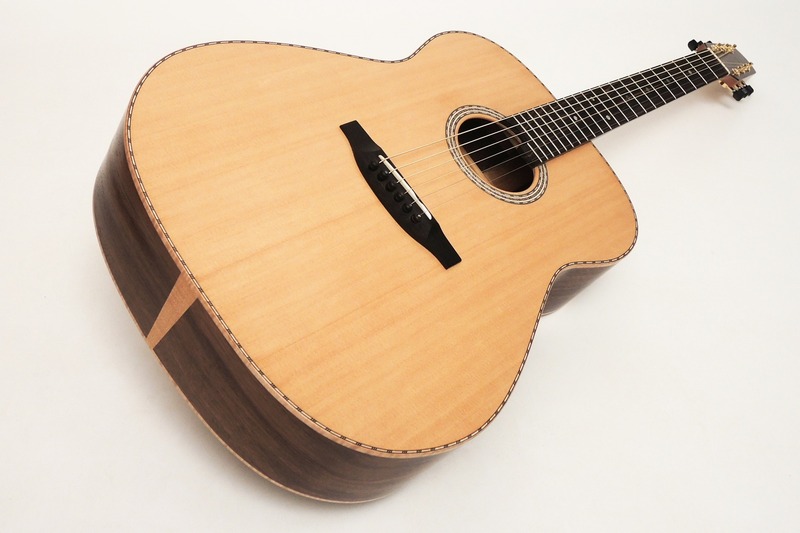 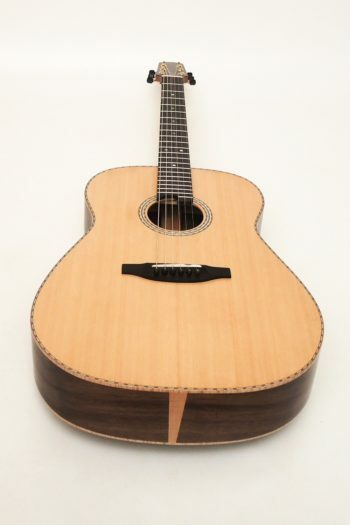 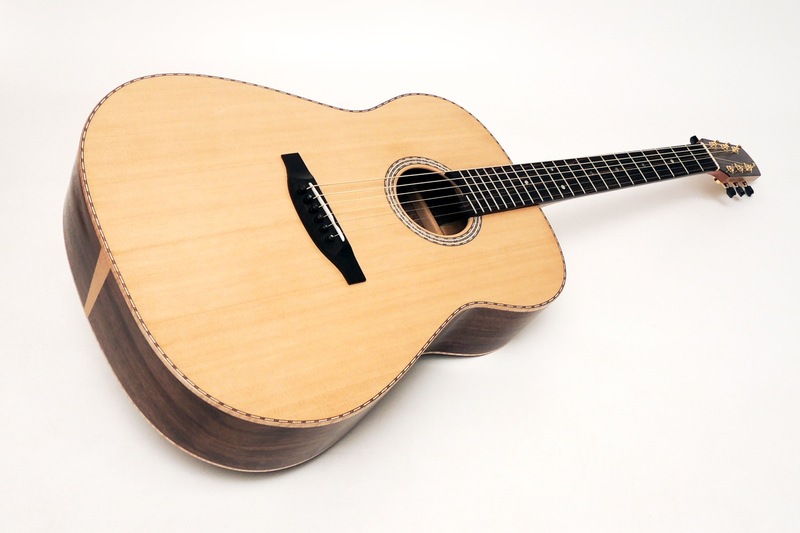 In terms of all other parameters, this steel string guitar is similar to our Ambition Standard model. Indian Laurel varies from light to dark brown with even darker stripes that may tend to black. 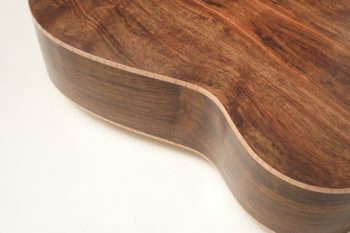 The processing is a bit more difficult than Rosewood, depending on the structure of the respective set of wood. We consider it visually as an excellent alternative to Rosewood, the grain is often more developed than the latter and therefore it appears extremely attractive. The physical values such as for example Elastic Modulus, the ratio of stress placed upon the wood compared to the strain (deformation) that the wood exhibits along its length, are very similar to those of Rosewood. 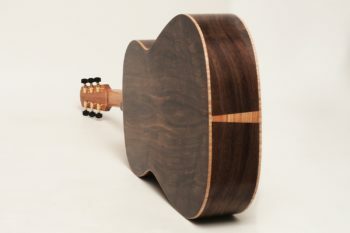 In addition, Laurel is hardly more expensive than Rosewood which accordingly results in a relatively small surcharge. 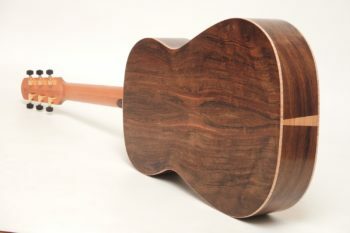 Even the sound resembles Rosewood, only that Laurel has a little more of everything. This wood is amazingly powerful and assertive.